Moon's comments came after Kim issued his harshest criticism yet over South Korea's diplomatic role last week, accusing Seoul of acting like an "overstepping mediator" and demanding that it diverge from Washington to support the North's position more strongly. Moon met Kim three times last year and also brokered nuclear talks between Washington and Pyongyang following tensions created by North's nuclear and missile tests and the exchange of war threats between Kim and President Donald Trump. 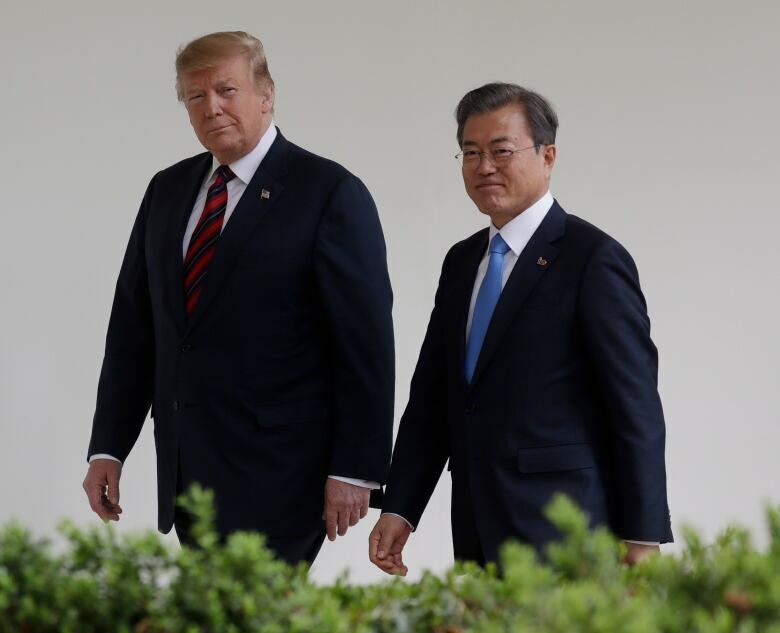 Moon met U.S. President Donald Trump last week in Washington where they agreed on the importance of nuclear talks with North Korea but did not announce specific plans on how to get the stalemated negotiations back on track. Moon met Kim three times last year and also helped set up the first meeting between Kim and Trump last June when they agreed to a vague statement about a nuclear-free Korean Peninsula without describing how and when it would occur. Trump and Kim met again in Vietnam in February, but the meeting collapsed over what the Americans saw as excessive North Korean demands for sanctions relief in exchange for limited disarmament steps. The breakdown of the Trump-Kim meeting in Hanoi raised doubts about Moon's claim that Kim could be persuaded to deal away his nukes for economic and security benefits and also about Seoul's role as a diplomatic catalyst, which became less crucial once Washington and Pyongyang established direct talks. The North had been urging the South to break away from Washington and proceed with inter-Korean economic projects that are currently held back by U.S.-led sanctions against the North. Moon's call for partial sanctions relief to create space for the inter-Korean projects and induce nuclear disarmament steps from the North has caused disagreements with Washington, which sees economic pressure as its main leverage with Pyongyang. 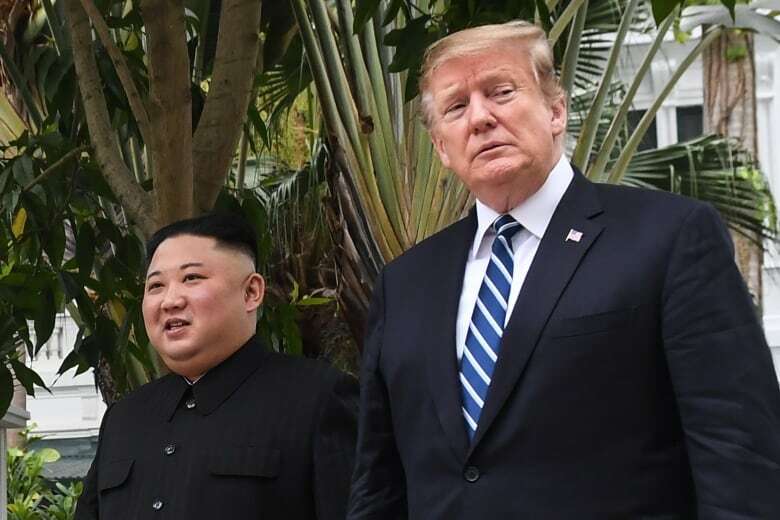 Kim blamed the collapse of his second summit with Trump on what he described as Washington's unilateral demands. 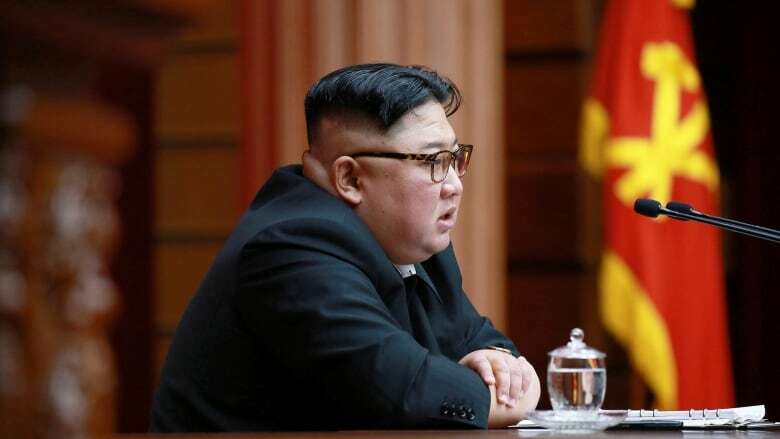 He said the North's economy would preserve through heavy U.S.-led sanctions imposed over its nuclear weapons program and that he "wouldn't "obsess over summitry with the United States out of thirst for sanctions relief." WATCH | North Korea vs. South Korea: Why has the peninsula been divided? "He also expressed his willingness for the resumption of dialogue between North Korea and the United States and a third summit between North Korea and the United States," Moon said about Kim. "I have high regard for Chairman Kim's unwavering commitment."